I wear size 9-1/2 men’s shoe/boot. Their sizing information doesn’t include half sizes and they show a Medium for a Men’s 8-9 and a Large for a Men’s 10-11. I did not call the manufacturer to discuss before ordering. I ordered a Large and it was a loose fit to what I was expecting (I guess I should have ordered a medium). Was worn under a blister resist sock along with a blister preventive balm applied on the back of my heels, inside of the arches, and on the sides at the widest part of my feet. The hot spot returned on the inside arch of the right foot after 1.5 hours of skating. Boots were purchased new about 5 weeks ago and I had about a total of 8 hrs total time in the boots over the 4 weekly skating sessions pre-purchase of the EZee product. 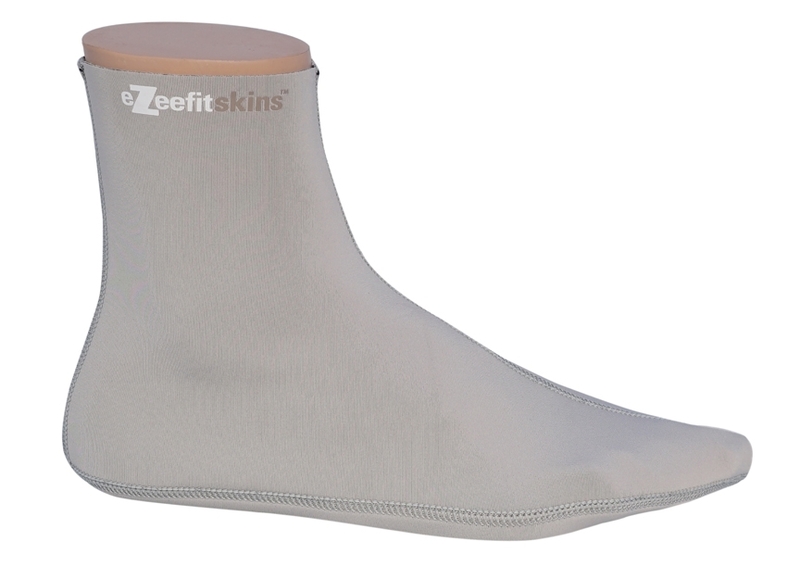 I have been using EZeeFit full fit booties for more than three years and find they improve the comfort and fit of my inline skates. I have 3 pair that I alternate each time I skate which is 2-3 times a week. I also wear them when I am using my road bike and bike shoes. I think they are the best for active sports in place of socks. My only complaint is they should come in colors to help with a rotation plan, like blue for Monday, green for Tuesday, red for Thursday and so on. I have given a few pairs to friends as gifts and so far they swear by them as well.